SECURITY NOTE: This website has a valid SSL (Secure Sockets Layer) certificate. If a “Not Secure” message appears in the address bar, simply amend the URL to read: https://www.greencloaks.com and refresh the page. Our shopping carts connect to PayPal’s secure site, so your personal data are safe with us. THE VIKINGS OF LOCH MORAR! Book II in the "CREATION SEEKERS" series authored by William D. Burt. Jonathan Oliver is chasing down an intruder on Lake Oswego’s Iron Mountain when he discovers some long-buried artifacts. One of these relics sparks a remarkable spinoff from the Oliver family’s anti-gravity inventions. Together, Jon and his father incorporate their breakthrough into a revolutionary submersible design. At the invitation of Dr. Graham MacKenzie, the Gyrosensors team travels to one of Scotland’s wildest and remotest regions—and its deepest lake—to develop their secret prototype. While staying at Dr. MacKenzie’s retreat center, they meet a pretty but mysterious Frenchwoman. Across the loch, the reclusive caretaker of a Victorian-era hunting lodge is hiding staggering secrets of his own. During the prototype's construction and sea trials, Jon and his family confront enemies on land, in the air and under the water. In the end, Jon rekindles a long-lost love and finds an ancient, holy treasure-hoard. 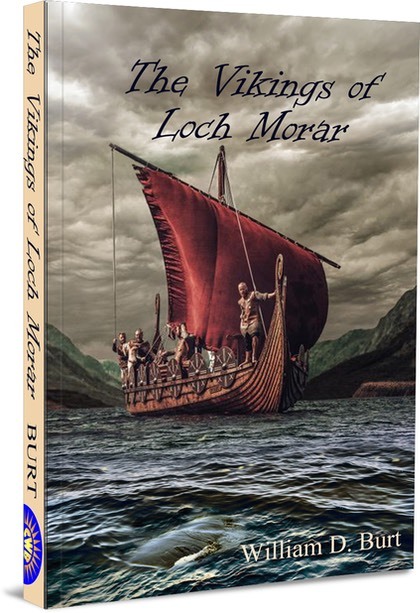 The Vikings of Loch Morar by William D. Burt is an interesting and fun blend of family adventure, mystery, science fiction, and historical fiction. This book is the second in the Creation Seekers series. I had not read the first book but I had no problem catching up. For the most part, this book feels like a stand-alone adventure. The characters occasionally refer to what happened in Book 1, and anything that the reader needs to know is explained well. The story follows a family of scientists that includes a young man named Jon, his father and grandfather. They stumble upon a sword that is a rare Viking relic. After a bit of investigating, they find that the sword has unique powers that Jon and the others can harness to create a futuristic submarine. They decide that a deep loch (Scottish for lake) in Scotland is the perfect place to test their invention, and soon the whole family has relocated there for the project. While in Scotland, they meet some interesting characters, some that become close friends and others that are rather mysterious. Strange things happen when they lower their sub into the loch, leading to heart-pounding suspense and more discoveries of a historic and zoological nature. I enjoyed reading The Vikings of Loch Morar. Its audience is clearly teenagers and anyone who enjoys an old-fashioned adventure filled with mystery and strange phenomena. The plot moves at a good pace with plenty of twists and exciting scenes intermingled with touching heart-to-heart scenes between characters. These are all well-rounded, interesting characters that I had no trouble relating to. I found myself cheering for Jon and his family, even tearing up a few times at some of the more endearing moments between key characters. I also liked the historical elements. They gave the story a strong foundation for its plot. One of my favorite aspects is the way the author treats Biblical history as fact and weaves it into the story. This title, and most likely the whole series, is a rare find in books for younger readers. It delivers as a fun, page-turning adventure story, but then it also manages to keep its PG rating without losing its edge. Well done, William D. Burt. SOFTCOVER AUTOGRAPHED COPIES—READY TO SHIP! 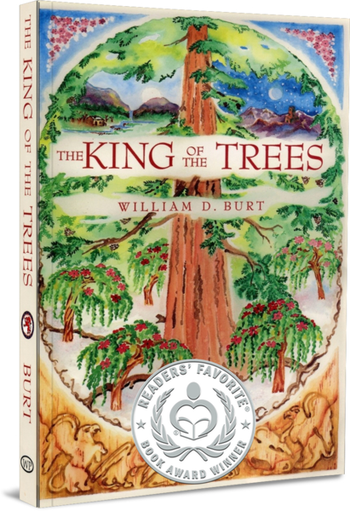 DON’T MISS THE KING OF THE TREES SERIES! SEVEN DELIGHTFUL CHRISTIAN FANTASY NOVELS! 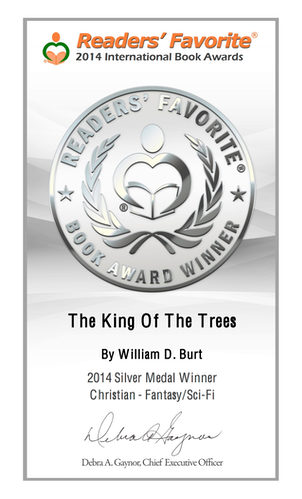 SAVE 32% OFF THE COMPLETE AUTOGRAPHED SET OF THE "KING OF THE TREES" SERIES! $70 FOR A LIMITED TIME ONLY. JUST CLICK ON THE BOOK IMAGES ABOVE TO SEIZE THE TIME-SENSITIVE SAVINGS! "Hi, Mr. Burt. My son has read your series several times, and he keeps them in perfect condition neatly on his bookshelf. Your books and the Star Wars books and the Left Behind series are the only books he has, wants and collects." NEW! THE KING OF THE TREES BOOK TRAILER! What if you were the rightful heir to the throne of another world, but you didn’t know it? NOTE: After completing the easy and secure signup process with MailChimp, you will receive a confirmation e-mail with a banner that says, “Welcome! Thanks for signing up.” Just click anywhere on the banner to download the PDF. AWARD-WINNING ALLEGORICAL FANTASY FROM THE HEART! For pre-teens, teens and young adults. CLICK ON THE COVER ABOVE FOR MORE DETAILS! NOTE: After completing the easy signup process with MailChimp, you will receive a confirmation e-mail with a banner that says, “Welcome! Thanks for signing up.” Just click anywhere on the banner to download the PDF. ALSO VISIT US ON: GOODREADS!